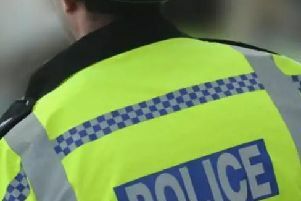 Thames Valley Police is appealing for witnesses after a 40-year-old woman was assaulted in Mill lane in Bradwell. The incident happened near to the cricket club where a bank holiday fete was being held at 6pm on Monday (May 7). The woman was with her 14-year-old son when another woman, also with a young boy believed to be her son, approached them and assaulted the first woman, causing injuries to her face and arms. The offender is white, 5ft 4ins tall and of a medium build and the young boy she was with about 14-years-old and of a skinny build. He was wearing a polo shirt and jogging bottoms. PC James Elliot said: “This was an attack on a woman and her young son who were trying to enjoy the nice weather together. “We are appealing to anyone who may have seen a woman interacting with a mother and son on the cricket field at the end of Mill Lane on Monday Bank Holiday to get in touch with us. If you have any information relating to this case call 101 quoting reference '43180137379', or contact Crimestoppers anonymously.